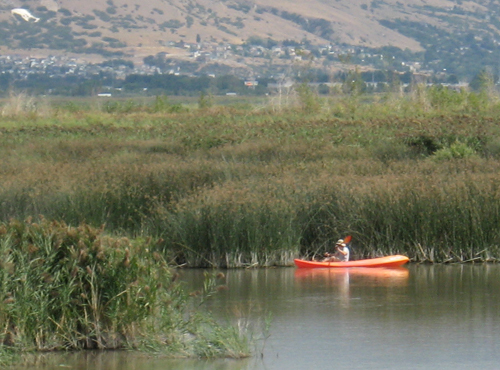 BIO-WEST is providing environmental consulting services for the Provo River Delta Restoration Project, a large-scale restoration project that will realign the lower 2 miles of the Provo River to Utah Lake and recreate historic delta habitats necessary to enable recovery of the endangered June sucker (Chasmistes liorus), a fish species that exists only in these waterbodies. Restoration of the Provo River delta demonstrates that water-development and public recreational needs can be successfully balanced with ecosystem restoration and endangered species recovery. To create a positive effect on the species and the community, the existing river co rridor and delta area will be improved for recreation, and instream flows will be delivered to the lower Provo River to prevent it from drying as it currently does during hot, dry summer months. Public concerns about the project arose during the scoping process. The existing river corridor has high value as a recreation resource, and landowners and other local citizens value the agricultural heritage of the existing landscape. Since its team members are also avid recreationalists, BIO-WEST quickly understood that the local community highly valued Provo River as a recreational resource. As the project necessitated some changes to existing recreational opportunities, BIO-WEST worked closely with Provo City and Utah County to determine feasible recreational facilities and design standards. BIO-WEST integrated new opportunities into plan concepts and project development and received favorable public comments in response to this effort. To resolve agricultural concerns, BIO-WEST worked with the joint lead agencies (Utah Mitigation Reclamation and Conservation Commission, US Department of the Interior’s Central Utah Project Completion Act Office, and Central Utah Water Conservancy District) to determine how to keep the existing river corridor in good condition and then designed an alternative that minimizes property acquisition. In addition to the design, BIO-WEST completed an Environmental Impact Statement to disclose the impacts of the proposed action, a no-action alternative, and three other action alternatives. As part of this process, BIO-WEST also completed comprehensive technical memorandums detailing all potential alternatives to accomplish the purposes of the project, including issues and constraints of all potential designs. 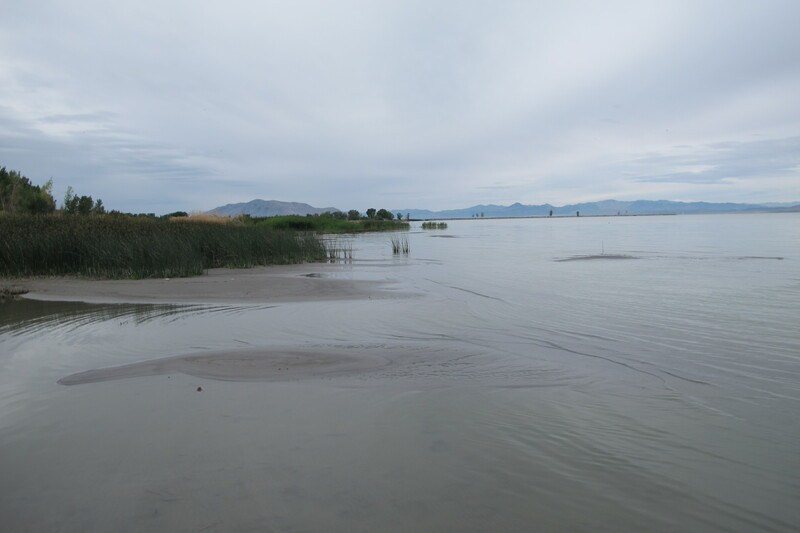 The new river channel design includes suitable instream habitat and sufficient slope to transport young fish to a developed bay (delta) at Utah Lake, which has depths and vegetative cover suitable for June sucker rearing and recruitment. Since the existing Provo Municipal Airport is located on a portion of the historic Provo River delta, near important Utah Lake avian habitat, bird-aircraft strike potential was also a concern. BIO-WEST worked with the US Fish and Wildlife Service to develop a biological assessment for the project and coordinated with the Federal Aviation Administration and the Provo Municipal Airport to outline public safety monitoring and mitigation strategies related to avian use of the area. ovo River-Utah Lake interface for existing and proposed channels. Water temperature, dissolved oxygen, and streamflow data were collected to determine existing water quality conditions, and aeration was investigated as a means of improving water quality in the stagnant portions of the existing channel. A LiDAR-based digital elevation model of the study area was developed, along with 31 groundwater monitoring wells, to model monthly average groundwater elevations, which allowed BIO-WEST to predict wetland response based on knowledge of existing wetlands and anticipated changes to study area hydrology. 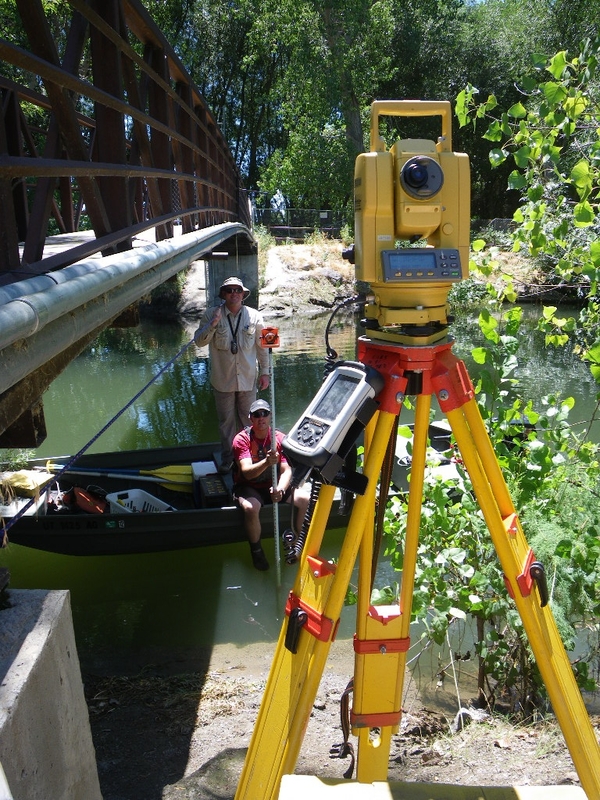 A wetland functional assessment was conducted in collaboration with the US Fish and Wildlife Service and the Utah Division of Wildlife Resources and submitted to the US Army Corps of Engineers. for submerged areas, wetlands, and vegetation–digitized restoration alternatives, provided predictive wetland modeling, and created project cartography. In April 2015 the Final Environmental Impact Statement was released to the public, and the Record of Decision accepting the preferred alternative was published in May. The Environmental Impact Statement culminates BIO-WEST’s technical leadership during 15 years of studies that included determining flushing flows necessary to improve June sucker spawning gravels, evaluating the effects of Provo River diversion dams on fish species, examining feasibility of all Utah Lake tributaries for the potential to reestablish June sucker spawning runs, identifying Hobble Creek as the preferred tributary for restoration, developing concepts to enhance Hobble Creek, and recommending instream flows for both Provo River and Hobble Creek to support ecosystem health.